These photos on Instagram capture the look of the care-free bride. 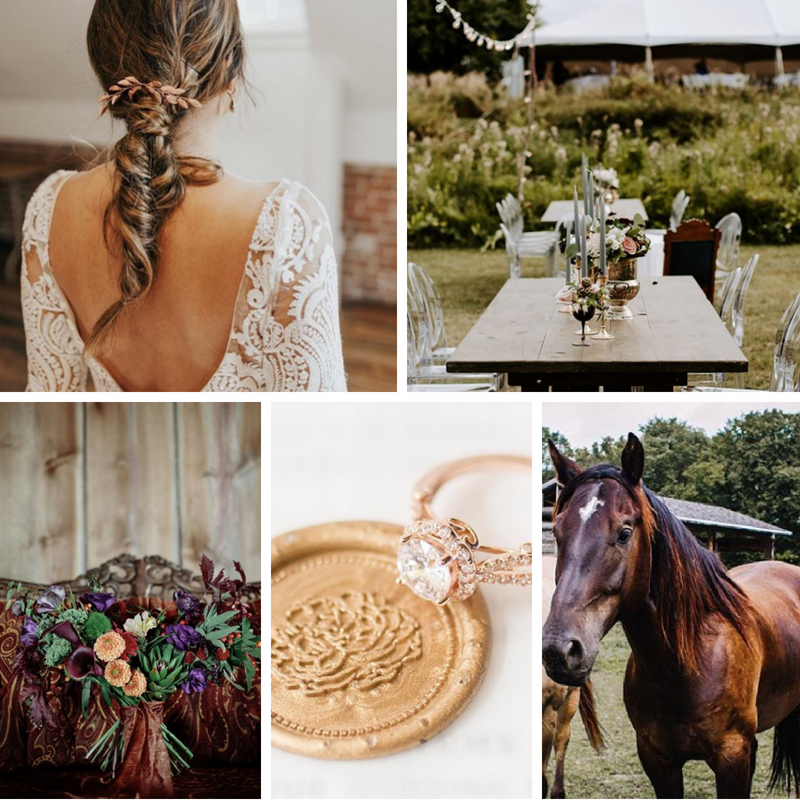 We think you'll agree that nothing says boho-chic quite like fishtail braids and outdoor receptions. Wedding days spent under string lights with butterflies landing on the bride’s bouquet. Um YES. • Tara and Jake’s Door County, WI wedding shot by my associate Jenna is a wedding from my dreams. And always so fun to have weddings alongside the ever talented @ebbandflowflowers!